Enterprise Plants wins silver at Chelsea! A ‘secret pleasure garden’ enclosed by free standing walls of variegated begonias has won an RHS Chelsea Flower Show silver medal for Enterprise Plants, a corporate supporter of World Land Trust (WLT). 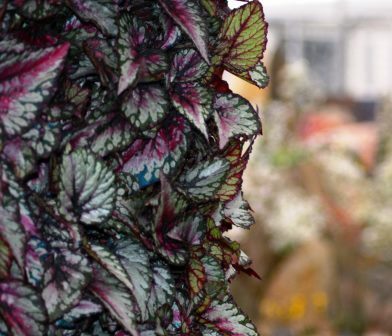 In celebration of 30 years in business, Enterprise Plants entered the 2014 Chelsea Flower Show with an exhibit in the Great Pavilion showing how begonias and ‘green walls’ can be used as decorative features to bring a healthy and exciting dimension to working spaces. Enterprise Plants’ garden contains four varieties of Begonia Rex specially selected to grow in green walls: Begonia Etna, Begonia Fedor, Begonia Rumba and Begonia Salsa. Planted to highlight dark and light and contrast inside and out, the garden is designed to change perspectives and encourages to us think about the way we see our environment. “We congratulate Enterprise Plants on their silver medal victory. 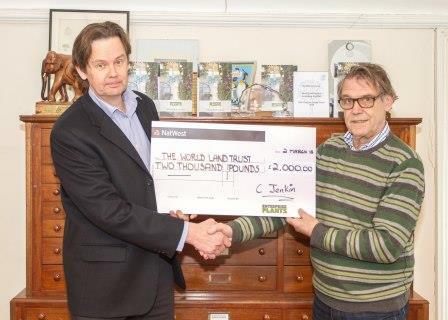 WLT benefits greatly from the support and commitment of Enterprise Plants and we have enjoyed many joint collaborations, including working together on the Trust’s Saving the Atlantic Rainforest stand at Chelsea in 2010. We know how hard they worked this year and hope they can now breathe a sigh of relief,” said Vivien Burton, WLT’s Head of Communications. 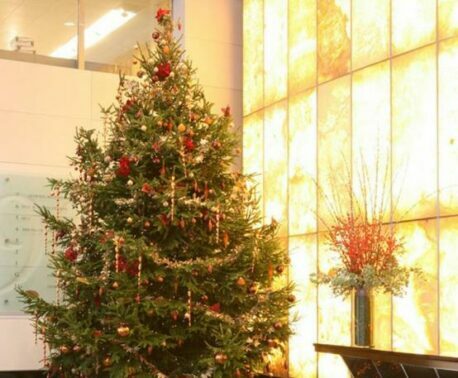 Chris Jenkin is Managing Director of Enterprise Plants, which for three decades has supplied trees and plants for offices and public spaces. In recent years Enterprise Plants staff have become specialists in green walls, also known as living walls or vertical gardens. “Over recent years green walls have become an integral part of city landscapes and are increasingly appearing as valuable additions to interior spaces,” says Chris. Research suggests that the mass of vegetation in a wall absorbs much of the toxicity released into interiors from building materials, paints and finishes, and machinery chemicals so they have a marked positive effect on the internal environment.